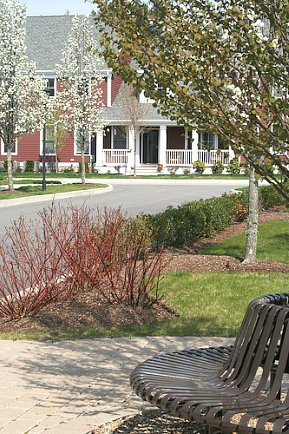 Best Guide interviews Bill Mullin, Director of Sales and Marketing, Thorndike Development, in Massachusetts, about traditional neighborhood design for retirement in Massachusetts as utilized at their over 55 communities. Red Mill Village (Update: Red Mill is now sold out; 156 detached and attached homes were priced from mid-$300's. 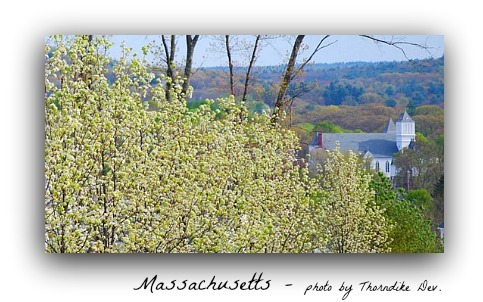 If you live in Southeast Massachusetts, or the Boston area, you probably have heard of Thorndike Development --a builder who builds on raw land--land that is improved by their development of beautiful communities. They feel this is their greatest contribution to green building. For an enjoyable retirement, this unique design concept enhances the 55 lifestyle. 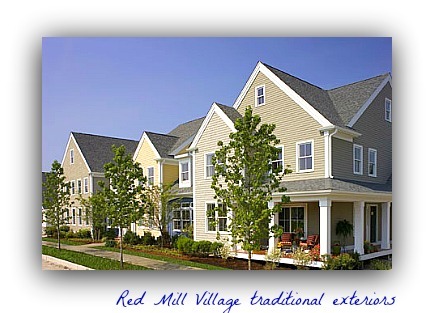 Thorndike's two current communities use this design concept, Red Mill Village in Norton, MA and WestRidge in Hudson MA. Best Guide: Mr. Mullin, is it correct to say that this concept is based on yesteryear, and is it the future or is that going a bit far. And, if so, what makes it so. Thorndike: Yes, we call it "back to the future." Based on traditional design--no cookie cutters, incorporating sidewalks, porches--traditional features yet interiors are 21st century energy efficient and open floor plans. Best Guide: Let's talk about what it is not--not boring, one-look traditional. That isn't what the concept is all about is it. varying elevations (exterior appearance) side by side. BG: Comforting is a word that comes to mind--what feature makes this so--and is that a good descriptive word. What particular one design feature makes this concept so comforting--if that is the word. TD: I think it is a good word because it harkens back to the design most of us grew up with. We call our communities, "your new home town." Also, colors are designed not to be stark but blend with one another. External spaces are designed to help people communicate with one another. The Village Center and common areas like the Red Mill Village frequently have pot luck gatherings without any formal organization. BG: Can these design principles be applied to other types of construction or are they specifically for residential communities. TD: The design is applied to our Quaker-styled Meeting House community center; the pool building has a cupola and other features on the property are part of the concept. The concept can be applied to commercial as well. 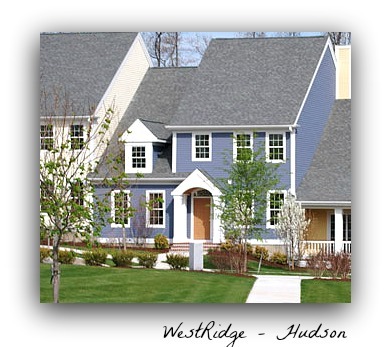 BG: In addition to the Meeting House and Village Green, what are some other external features your two current over 55 communities of Red Mill and WestRidge have that make it Traditional Neighborhood Design. 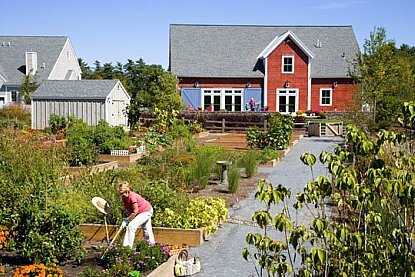 TD: Some other exterior features are walking trails, open spaces, parks, Victory Gardens (at Red Mill), village shops, swim pool and cabin. BG: Wouldn't you say that a community could still be a Traditional Neighborhood Design without having all of these features. For instance, the front porch look doesn't have to be part of it if the community has other features of TND? The design even included measuring how far away porches should be from sidewalks to encourage social communication. 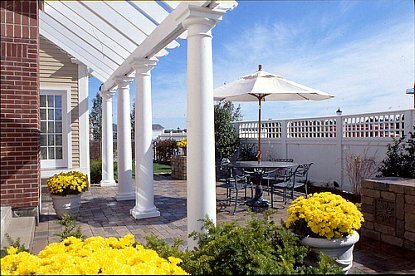 Even the height of the porch is important to the concept--so that they are not too high for people to communicate with one another. Porches and stairs add to where people gather. BG: What features would you say people should look for as a minimum to have some of the experience of a TND community. What are the main components. The "Edge" is important to the community feel--and offers potential for beautiful views from your windows. 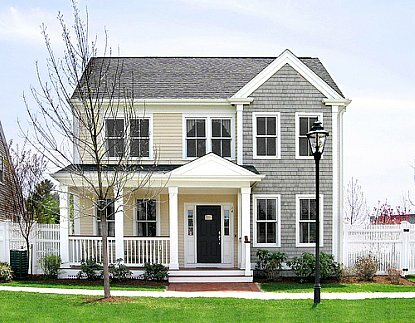 A traditional neighborhood design with park, homes with front porch and varying styles, elevations, and colors next to each other. Use of different materials such as clapboard and shake. This modern design is widespread in the U.S.
BG: Do some areas of the U.S. tend to having more Traditional Neighborhood Design communities or can it be experienced anywhere . TD: Yes, the concept can be experienced everywhere. Some people have said our communities remind them of the Disney-inspired Celebration community in Florida or Martha's Vineyard here in Massachusetts or Charleston, South Carolina. I'm sure you could take the design concept anywhere though. BG: When looking for retirement communities, I would think it particularly enjoyable for the over 55 age group to live in communities of this type. 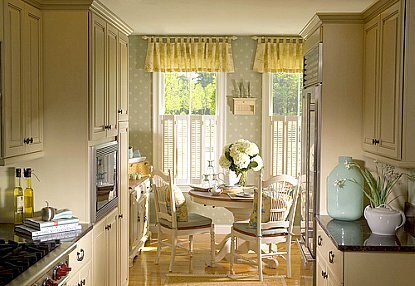 Is this design for everyone or does one age group find it more desirable than another. TD: We feel this concept adds considerable pleasure to this age group. It's a time in their lives when their children are grown and they want more social opportunities to enjoy life. Also, we place master bedrooms on the first floor and sidewalks are appreciated as well as our amenities for socializing and bringing people together. BG: Do amenities like pools, clubhouses, tennis courts and golf improve upon the design or can you have the design without them. TD: You can have the design without these amenities. We do not have tennis courts or golf since many are readily available in the surrounding area. BG: Does this design concept extend to landscapes and exteriors. TD: Yes, very much. Landscaping reinforces the TND concept. We use white rail fences, large granite posts (very traditional), picket fencing, lattice work and we make the landscaping look as if it's been there at least 3 years. We want a mature community look. BG: I still remember the cobblestones in the "village-like" shopping center where I lived and how it felt under my feet. Walking on them, slowed my pace, do you know what I mean. There was also a fountain--not large--a small one that with the cobblestones made the village more pleasant to meander around. It just wasn't paved with concrete. Is this what you mean. Is this part of the meaning of TND? TD: Yes, we have interior courtyards that use brick pavers, bluestone etc. 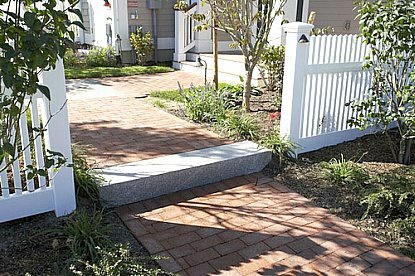 Our design has curbing, trees, grass, sidewalks, more grass, and porches. Streets, of course, are asphalt. BG: Is green building a part of this design in any way or something that can be incorporated as a separate feature. TD: Building codes are changing and everyone is turning green. Our homes are energy efficient and meet codes. We feel our greenest contribution is that we have reclaimed land that wasn't in good condition and improved the neighborhood making it a protected environment. 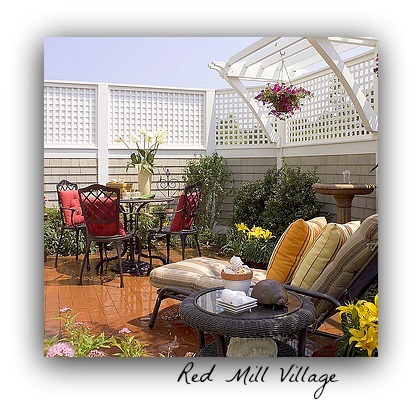 Red Mill Village was named Best Active Adult Community 2006-2007; we are now nearing sell-out. Red Mill is planned to have 156 homes. BG: What is the future of TND. Are there new things we are learning about this design concept. Are there improvements coming for the future or is the concept pretty much made in stone right now. TD: We have to listen to people. A couple of years ago we were building large homes; now we are building smaller homes. People are not wanting as many upgrades now. We can't build in a vacuum. It depends on the market demands and we need to adjust to that market. Things can change in the future so we listen to what people are saying. BG: Is your company experimenting with new community concepts and what would they be. I can't imagine anything more exciting than TND. BG: What areas of Massachusetts do you find best for retirees? TD: If comfort, convenience, community and culture are of interest to a retiree, Eastern Mass is the place to be. I joke with my own family when we talk about taking a vacation, I say "let's vacation right here..we have everything." And, it is true. BG: What does your area of Southeast Massachusetts and the Greater Boston Area offer retirees? TD: Eastern Massachusetts is a retiree’s dream. First, the state itself is imbued with a sense of historical significance, reinforced by a very strong academic, artistic and, yes, sports culture. The Red Sox are important! But beyond that, this area is just plain beautiful, with easy access to the ocean and the mountains and everything in between. If a retiree lives at Red Mill Village in Norton MA, or WestRidge in Hudson Ma, Boston, Worcester, Providence, Cape Cod and New Hampshire are all less than one hour away. Our communities are at the CrossRoads of Massachusetts! BG: Bill, what does community design mean to you. BG: Thank you so much for giving us your valuable time and helping us to understand the concept of Traditional Neighborhood Design better. TD: Thank you and have a nice weekend. Please verify all information for Traditional Neighborhood Design article. We are not affiliated with Thorndike Development. This is an information only website and we do not make recommendations or give advice. Please make your own thorough investigations. More than 30 awards, including six from NAHB. Declared "best in the nation:"